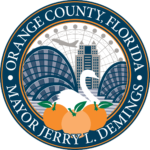 WHAT: In celebration of Earth Day, Orange County Mayor Jerry L. Demings and Orange County District 6 Commissioner Victoria P. Siplin will host a ribbon-cutting ceremony to celebrate the opening of the Lake Lawne Water Quality Improvement and Reuse Pond at Orlando’s Barnett Park on Saturday, April 20, 2019. Earth Day is April 22, 2019. The Lake Lawne Water Quality Improvement and Reuse Pond is designed to remove 650 pounds of nitrogen and 110 pounds of phosphorus annually from Lake Lawne (see attached graphic for more information). Sustainability, innovation and collaboration are exemplified in this project. This represents one of the many important steps Orange County is taking to work with residents to help keep rivers, lakes and streams clean. The water from the pond is also used to irrigate nearby trees and aquatic plants, which conserves freshwater supplies. Additionally, the pond provides habitat for fish and wildlife. The cost of the project was approximately $2 million, of which 75 percent was reimbursed by partners through grants and state funds. Partners include the St. Johns River Water Management District and Florida Department of Environmental Protection. The Orange County Environmental Protection Division worked with the Parks and Recreation Division and the Orange County Public Works Department to complete the project. *Spanish speakers from Environmental Protection also available to the media.